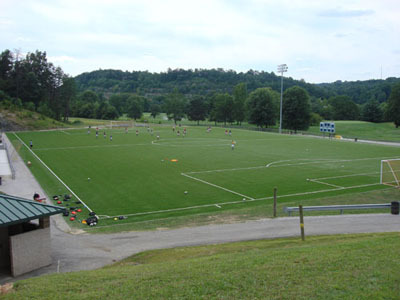 Kanawha County Parks And Recreation operates six separate recreational facilities in Kanawha County, WV. Please view some of our Park Activities, or select a pin below to explore our parks. Park hours are from dawn to dusk daily. Riverside Shelter will be unavailable for rental due to FEMA Project Work. Family Center will be available to rent as a shelter. Click here Coonskin Park Foundation for driving range hours. The Kanawha County Parks and Recreation Commission is responsible for the operation of the Kanawha County park system. It was created by the Kanawha County Commission through the authority of the West Virginia Legislature. The Voluntary eleven member Commission of appointed by the Kanawha County Commission for six year terms. The Park Commission hires an Executive Director who is responsible for the day to day operation of the park system, under the direction of the Park Commission. Then Commission meets on the third Wednesday of each month at 2:00pm. Meeting agendas are publicized in accordance with the West Virginia Open Meeting requirements. The Commission has four standing committees: golf, finance, long range and personnel. The system consists of seven parks with 2500 acres. There are highly developed areas and densely forested areas. Facilities include two golf courses, two pools, a variety of recreational activities, shelter rentals and meeting/reception room rentals. Kanawha County Parks mission is to provide a wide variety of recreational activities and opportunities to a broad range of Kanawha Countians. Kanawha County Parks maintains swimming pools at three parks which are open from Memorial Day to Labor Day, weather permitting. Coonskin Park is located 10 minutes from downtown Charleston, WV. Exit 99 off I-64, Route 114 North (Greenbrier Street) 2.5 miles, turn left on Coonskin Drive, Park entrance 1 mile. It features over a thousand acres of woodland, hiking and biking trails, a handicapped accessible 18 hole par three golf course, an Olympic size pool, picnic shelters of all sizes, tennis courts, sand volleyball courts, bike rentals, pedal boat rentals and a modern playground area. Meeting and reception room rentals are also available. Coonskin also has a modern amphitheater, 2000 seat soccer stadium and a Wedding Garden. Programs throughout the year include numerous golf events, athletic events, children's events, nature activities, birding, concerts and a winter light display. Hours: Dawn to dusk every day. Closed Thanksgiving and Christmas Day. Hours: 11:00 AM to 6:00 PM Sunday through Friday and 11:00 AM to 7:00 PM Saturday. Pioneer Park is located in the eastern portion of Kanawha County, WV off Route 61, adjacent to East Bank Middle School. Pioneer Park features a swimming pool, snack bar, miniature golf, and a picnic shelter area. Pioneer Park Pool: Hours are Noon to 5:00 PM. on weekdays and Noon to 6:00 PM on weekends. Snack Bar: The pool house snack bar is open on the same days and same hours as the pool. There are locker rooms and the snack bar serves hot dogs and soft drinks. Arm Bands: Available to anyone using Pioneer Park facilities. There must be a minimum of 25 purchased. Make arrangements at the administrative office at least two days prior to your event. The arm bands are ONLY to be used on the day of your event. The price is $3.00 for unlimited use of miniature golf and swimming pool. 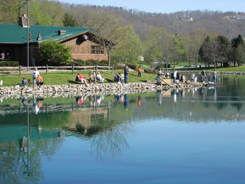 Located on Route 25 west of Dunbar, WV, Shawnee Park features a golf course, soccer fields, swimming pool, tennis courts, athletic field, basketball courts, a large playground, picnic shelters, and a boat ramp accessing the Kanawha River. 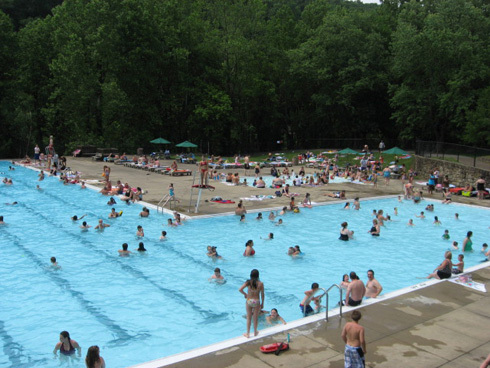 Shawnee Pool Hours: 11:00 AM to 6:00 PM on weekends and 11:00 AM to 5:00 PM on weekdays. Kanawha County Parks maintains tennis courts at two parks. 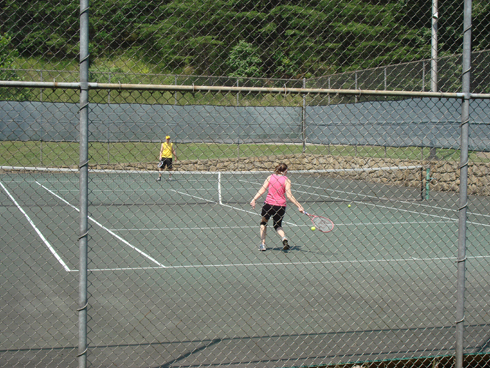 The Ivan F. Bolarsky Tennis Center at Coonskin Park offers six asphalt courts and one har-tru court. Call for reservations for the har-tru court at (304) 341-8000. The six hard courts are first-come unless a tournament or high school event is scheduled. Asphalt tennis courts are free of charge 7:30 AM until dusk, year round. The Kanawha County Park & Recreation Commission operates four golf courses in the Charleston WV Area. The links below will help you learn more about each golf course. Kanawha County Parks maintains soccer fields at three parks which can be reserved for a fee by contacting the park office at (304) 341-8000. The Schoenbaum Soccer Stadium sports a 360' by 225' groomed field. This facility seats 2000 and has concession and restroom facilities. Located on the Coal River in Tornado. Take I-64 west from Charleston, WV, exit at Institute and turn west onto Route 25. Take Rt. 25 to light, turn left onto the St. Albans Bridge. Continue straight after going over bridge and turn right onto 6th Street. Follow 6th Street until you reach West Main and turn right over bridge. Continue until the Fire Department and turn left onto Coal River Road. Go several miles, pass through Tornado and turn left onto Smith Road, crossing over Coal River. The Park is on the left after you cross the bridge. Facilities: Two soccer fields, shelters, and play equipment. Restrooms available. Shawnee Park includes soccer fields. 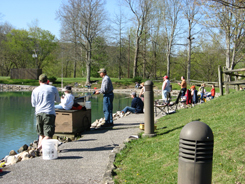 Fishing at Herscher Lake is for Class Q Licenses (10 and under and handicapped) March through May. Open fishing June through February. Coonskin Park is located 10 minutes from downtown Charleston, WV. Exit 99 off I-64, Route 114 North (Greenbrier Street) 2.5 miles, turn left on Coonskin Drive, Park entrance 1 mile. 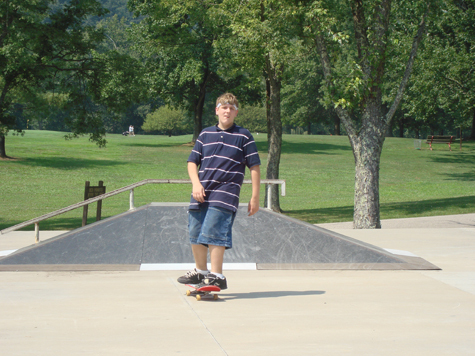 Kanawha County Parks maintains a Skate Park at Coonskin.